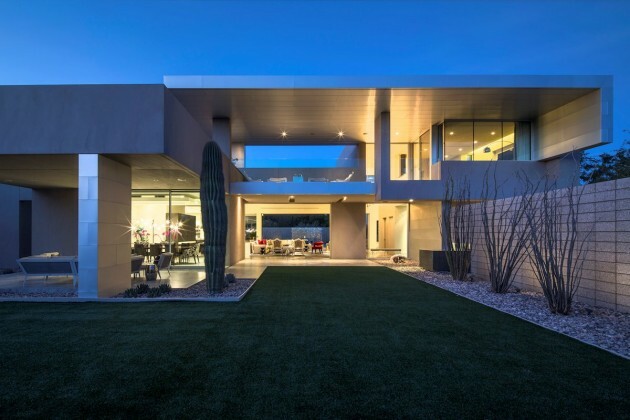 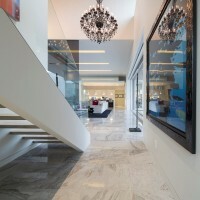 Kendle Design Collaborative have recently completed the Birds Nest Residence located in Scottsdale, Arizona. 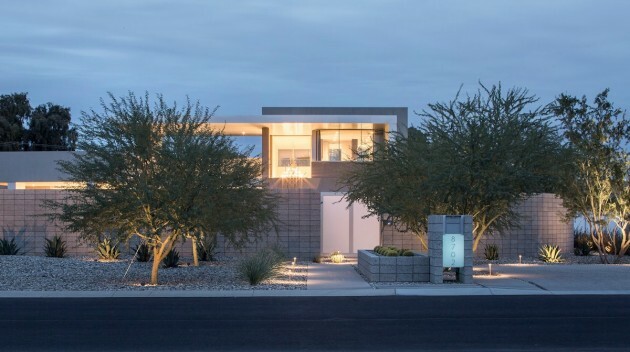 The Birds Nest Residence is characterized by strong geometric forms and materials reminiscent of mid-century modern architecture with influences from Richard Neutra and noted Arizona architect Al Beadle. 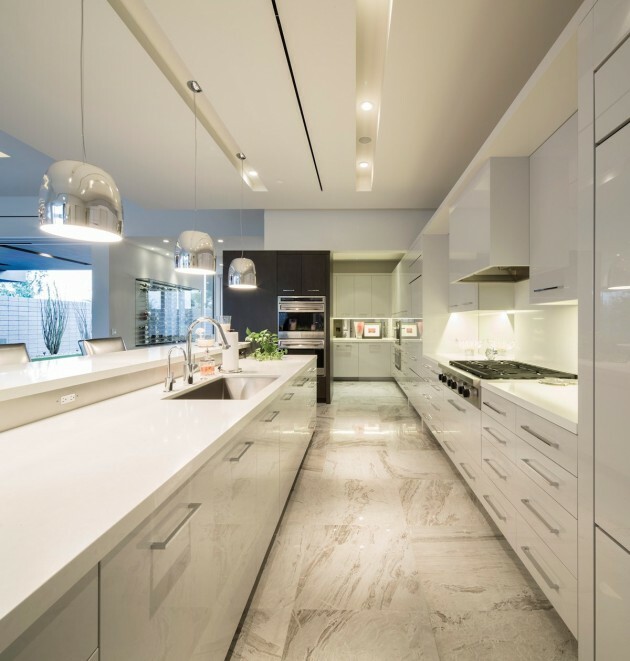 The guiding principles of the modern masters are evident in the building’s clean simplicity and sophisticated integration into the site. 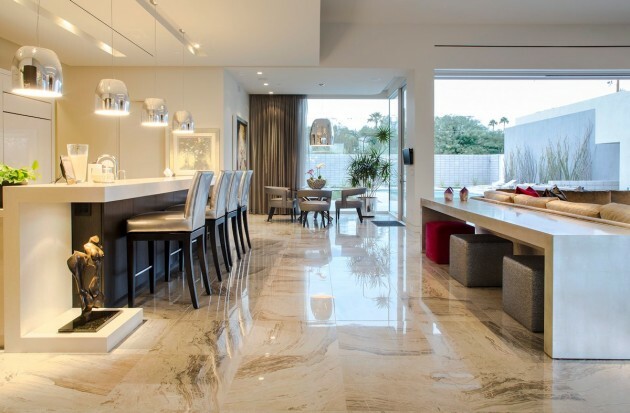 The use of natural materials and the seamless relationship of interior to exterior spaces create an airy feeling of openness and an expansive quality. 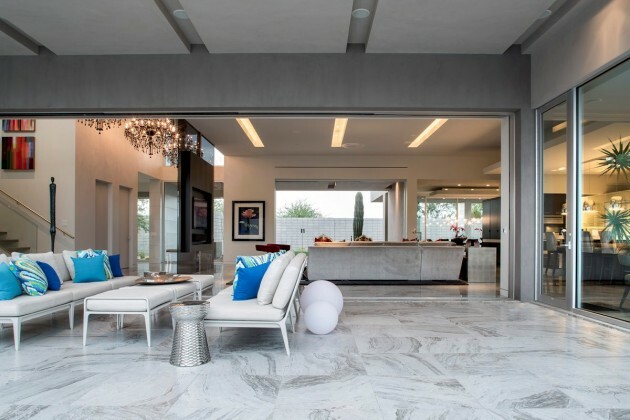 The large open space of the Great Room and its direct relationship to the adjacent pool terrace serves as the organizing principal. 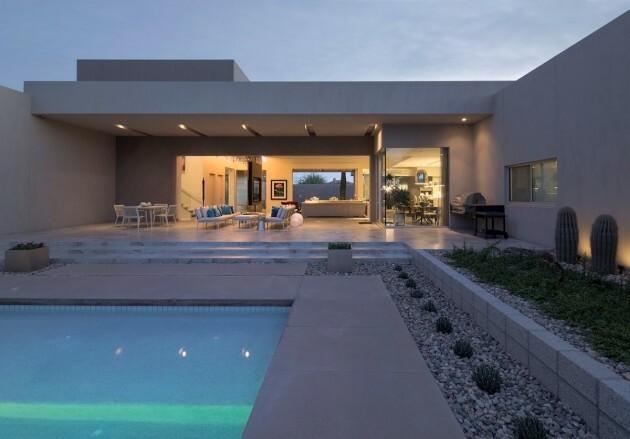 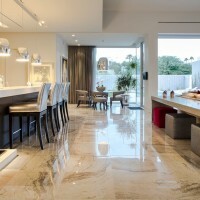 This tall central volume has an unobstructed visual link to the Kitchen and Dining spaces as well as to both the enclosed front courtyard and the pool terrace. 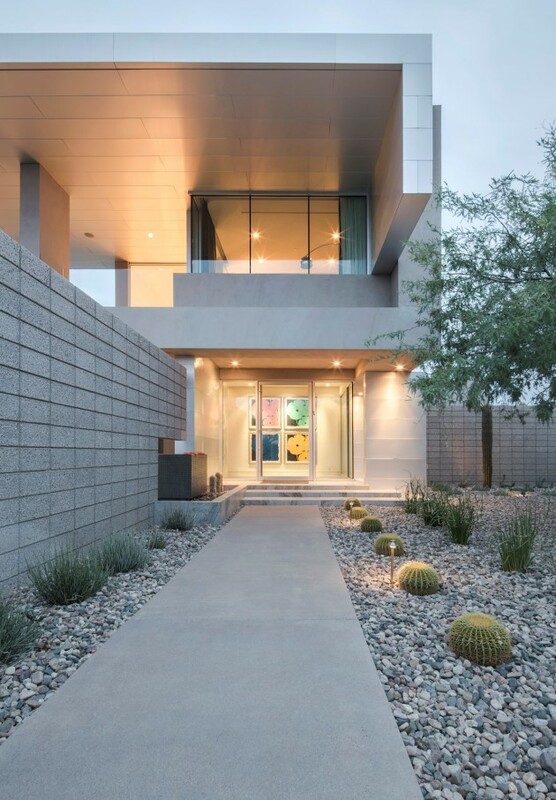 All rooms, including “birds nest” on the second floor, have immediate access to a private courtyard, terrace or exterior space that give the residence an intimate scale. 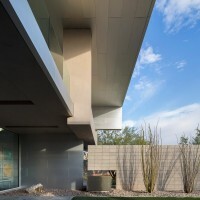 The native desert plants and trees serve as a counterpoint to soften the bold geometry and rectilinear building forms. 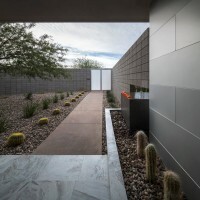 The site walls are thoughtfully integrated into the landscape design creating serene courtyards while maintaining the owner’s desire for a high degree of privacy.